1_Historical heritage. Genova is a neighborhood with its own history and development, located in the limits of Palma. Due to its history, in the old town surrounding the Plaza there are numerous buildings and ele­ments with patrimonial value which must be taken into account. To these facts it is considered that the proposal should be based on the integration with its surroundings. With such a goal the design uses resources such as the use of neutral materials or adaptation to the existing topography. 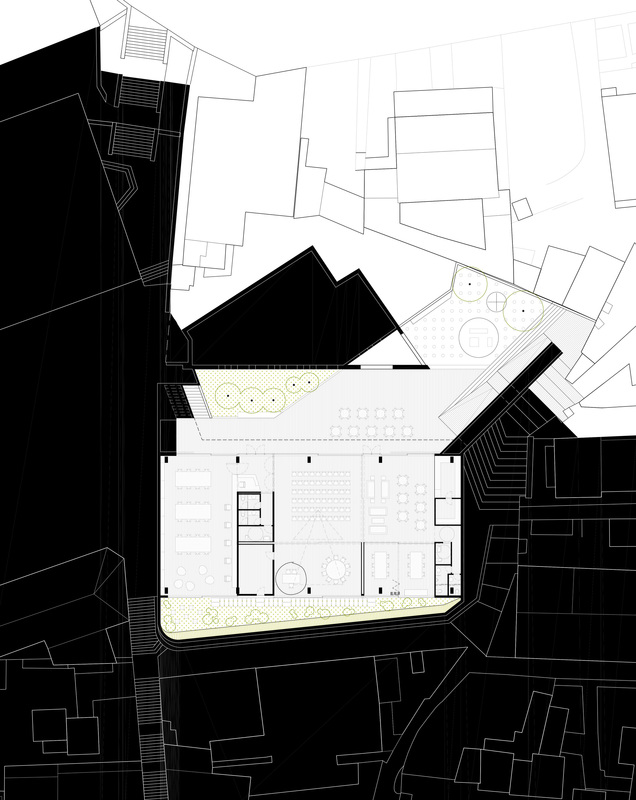 2_The urban complexity and topographical morphology confer a special identity to the neighborhood of Genova. The area of the plaza is made up of alleys and narrow intricate passages; with heavy earrings, ramps or stairs to save the high slopes. While this gives an own identity and enriches the neighborhood with a unique visual dynamism; this becomes a strong barrier as well in the connectivity, which is made worse if we put ourselves in the situation of the people with reduced mobility. 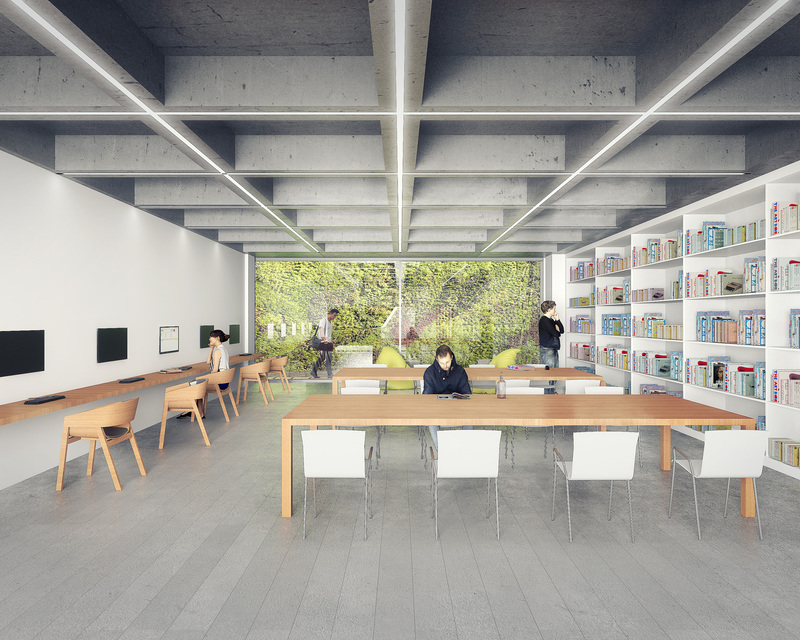 Our proposal does not renounce to this complexity, but it’s incorporated in our design as a way of integration into the environment. The flatness of the square is transformed gradually in stairs in order to link in a way almost natural with the slopes of the South passage. 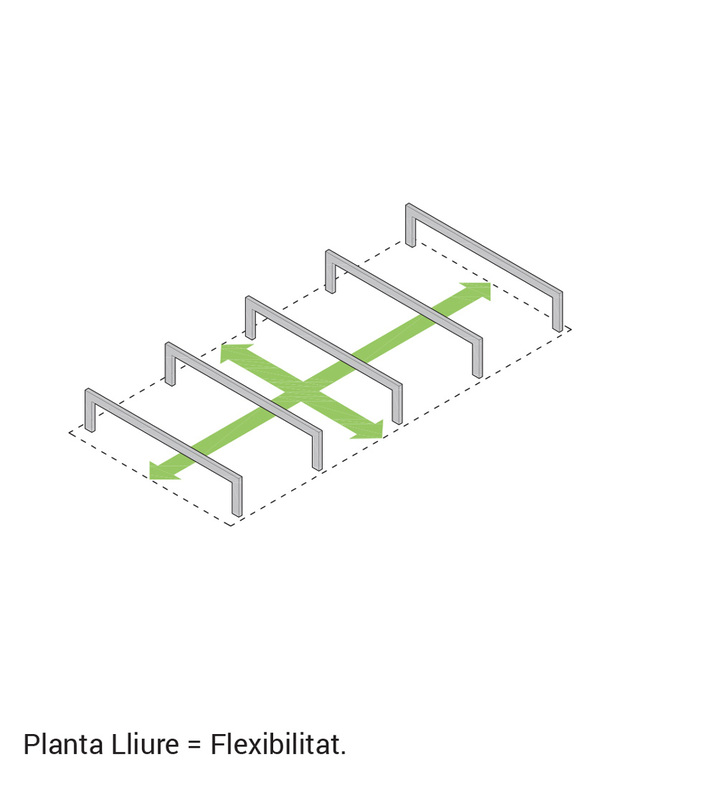 In this way it eliminates in the South the barrier between the square and the passage. 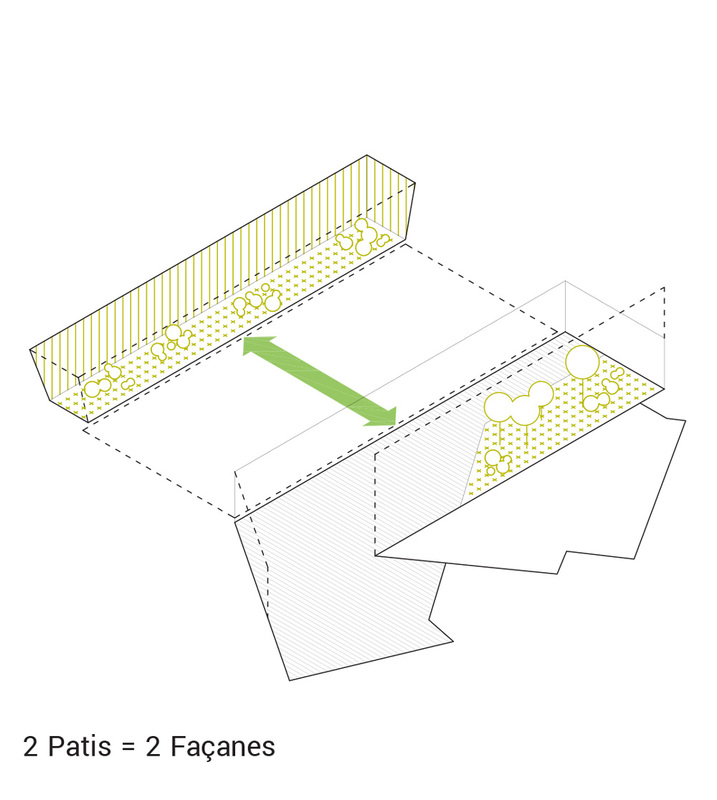 Passage and plaza are integrated and have continuity on the other. On the other hand, will have special care to create a comfortable ramp which complies with the current legislation for people with reduced mobility. The ramp and stairs that connect directly the level +90 with + 86 are integrated into the architecture. 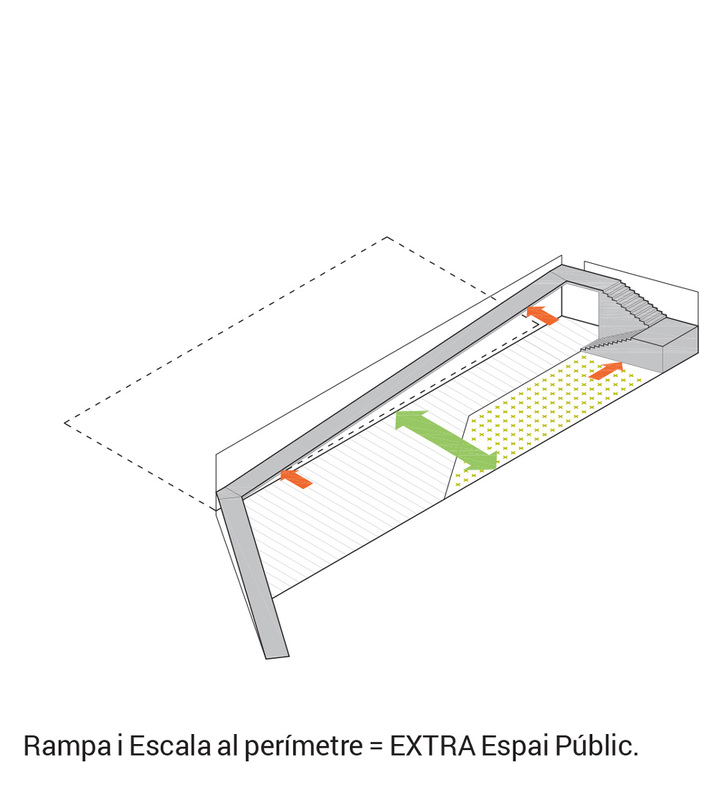 In this way the difficult design of the ramp becomes an upgrade element for the façade and frees public space and integrates fluently with it. 3_Network of public spaces. 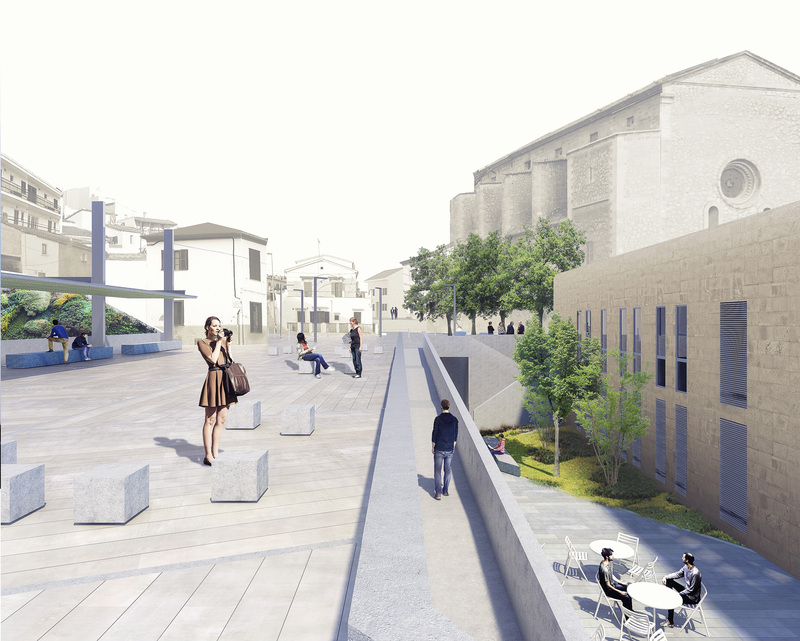 By its morphology, the town of Genova can’t have many open spaces. 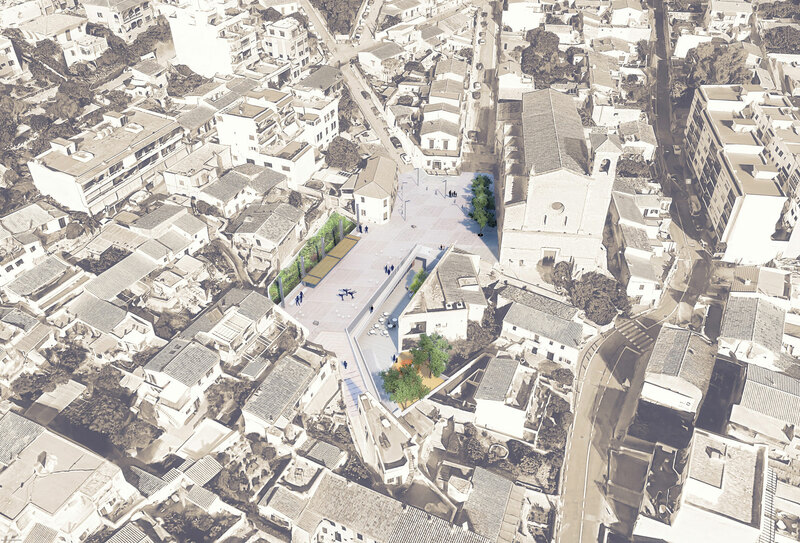 In addition, spaces such as the Plaza de Sant Salvador are devoted mostly to the use of vehicles and not for the use of pedestrians. For this reason, our proposal makes special emphasis on the generation of free open spaces full of possibilities to organize different activities in the neighborhood. 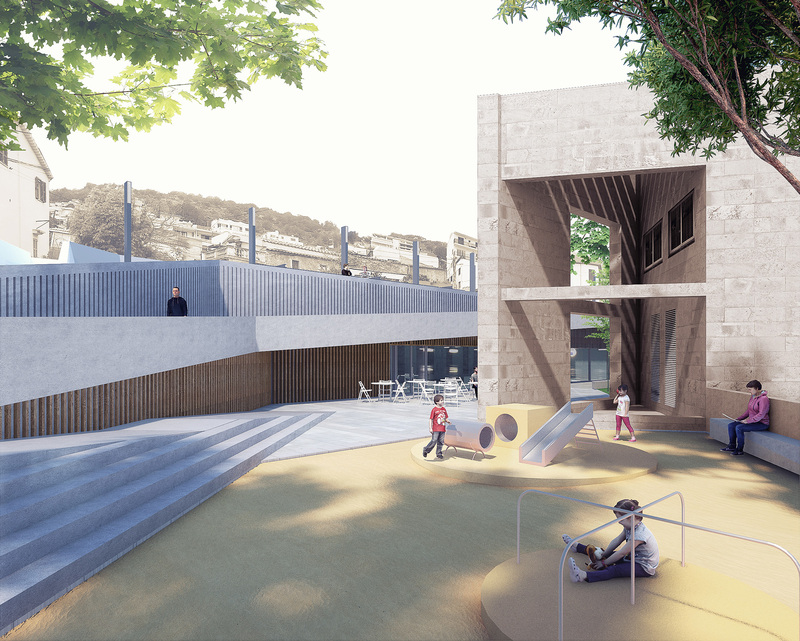 It generates a new and large public space at level + 86 to access to the Socio-cultural Center, along with the children’s play area. 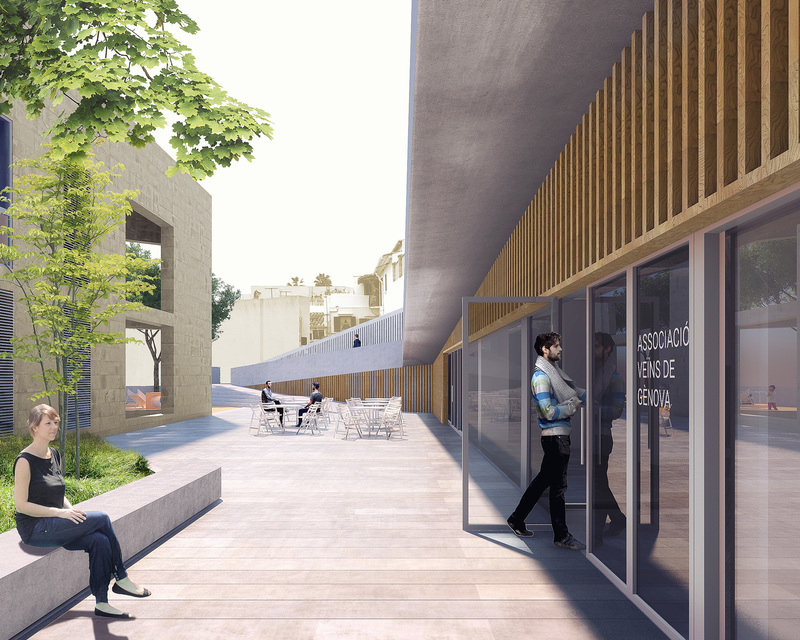 On the roof of the Socio-cultural Centre we create a flat and wide-open space, the pavement extends towards the Plaza de Sant Salvador to pacify its traffic. 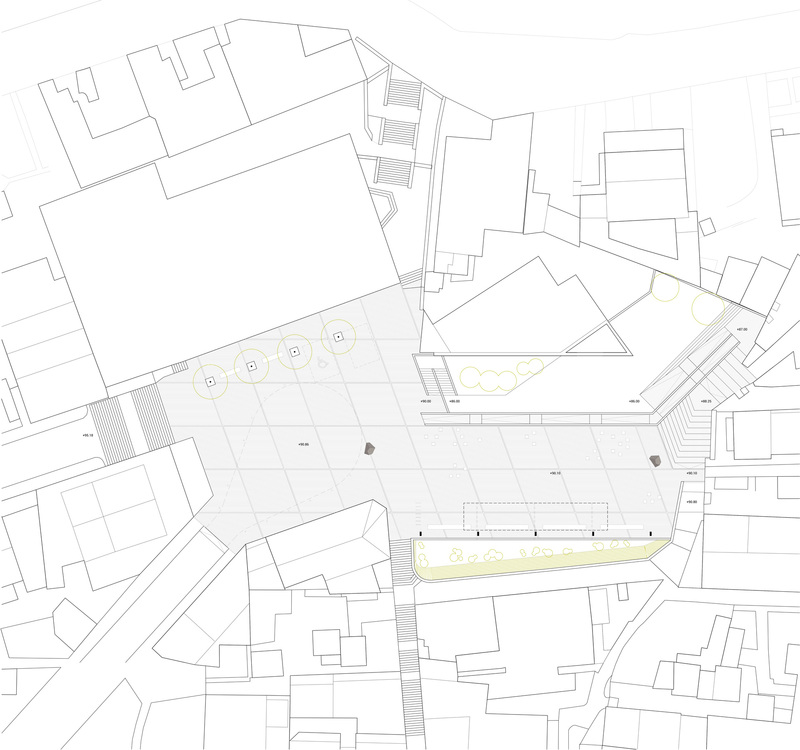 In this way, we add up the areas of the two plazas, forming a new and great open plaza for the neighborhood of Genova.